Froome was leading initially but got dropped back to third in the list as the race finished. He continued at his own pace and didn’t take rest until he crossed the bar behind two cyclists competitors. In the overall rankings, the 31-year-old Froome is now 58 seconds behind Quintana. The teammate of the Colombian cyclist Alejandro Valverde finished at the fifth position and now stands at number two in the overall rankings. On the other hand, the previous leader David de la Cruz has now fallen to seventh overall. 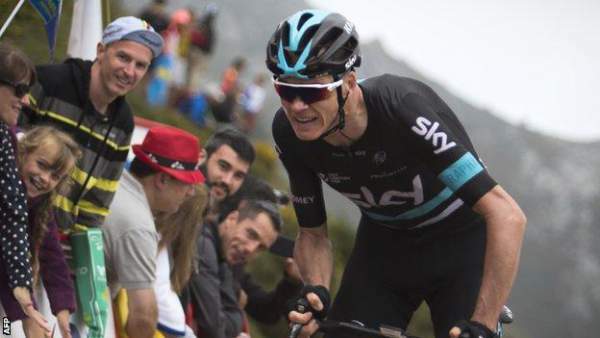 If Froome wins the Vuelta, then he will become the first man in 38 years to win both the titles including Tour de France in the same season. Previous articleIs Joe Manganiello Playing Deathstroke In ‘Justice League’ And ‘The Batman’?